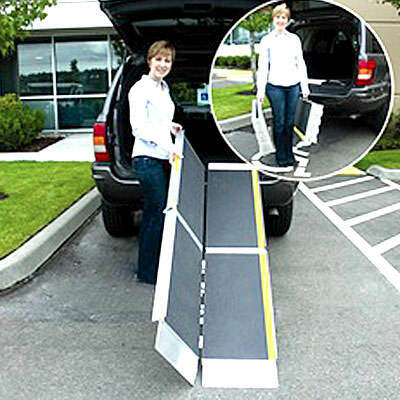 EZ Access suitcase trifold advantage series ramp is ideal portable wheelchair ramp. 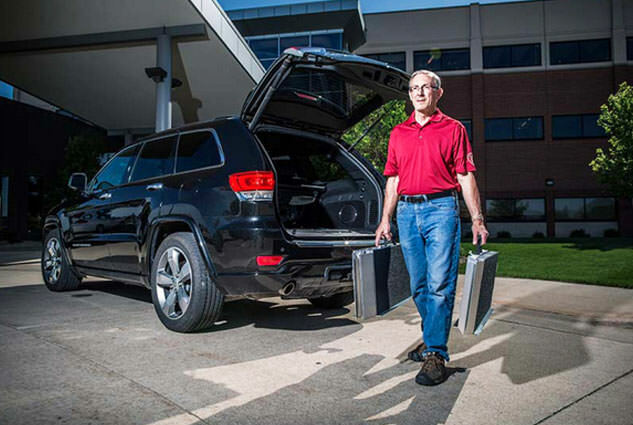 Suitcase trifold ramp is designed to be used and carried as a set, or if desired, can be quickly separated into two individual sections, making it even easier to use, carry, and store. 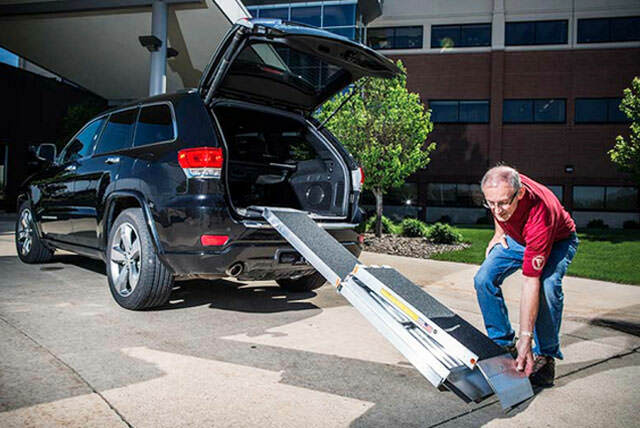 Trifold ramp comes with its unique 3-fold design,offers the length required for wheelchairs and scooters to easily access steps, vehicles, and raised landings. Advantage series trifold ramp quickly separates into two lightweight halves, each with their own carrying handle. Trifold advantage series ramp has durable, patent-pending hinge with interlocking brackets which provides smoother operation and reduced pinch points. Suitcase trifold ramp features high-quality skid-resistant tape with yellow safety strips and a self-adjusting bottom transition plate for easy conversion from ramp to ground. 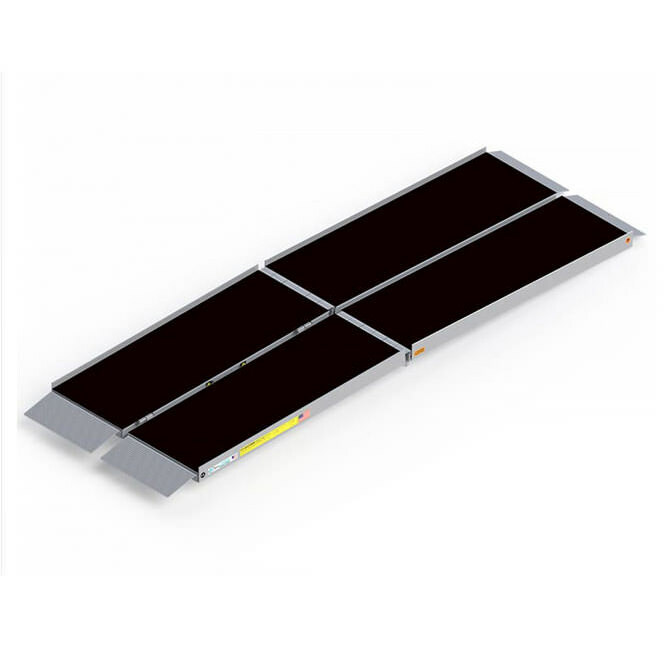 Advantage series trifold ramp unfolds to a 29" wide platform. 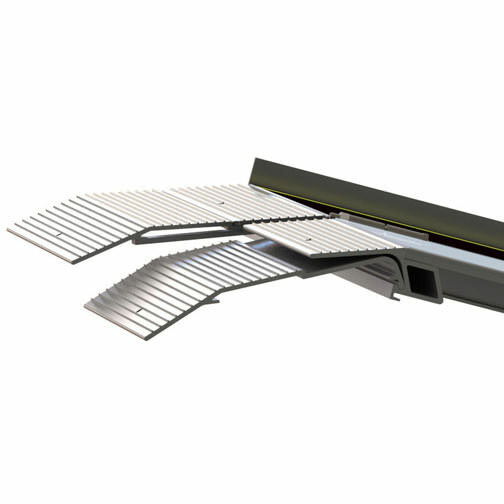 Trifold ramp manufactured of welded aircraft-grade aluminum. Weight* 30 lbs. 38 lbs. 44 lbs. 50 lbs. 60 lbs.